Russia’s economic and social differentation is marked and persistent. In addition to regional differences, we see even more pronounced differences in the quality and way of life and the sets of values among four groups: the populations in large, medium, and small cities and in rural Russia. At the basis of Russia's centre-periphery model is a hierarchy of dwellings — from the more modernised large cities to patriarchal rural areas. Russia One is composed of major cities. Cities with populations of a around million or more account for 21% of Russia’s total population, or 31% if cities with half a million residents are included. The proportion of those living in large cities has been steadily rising due to an influx of migrants. The leaders of Russia One are federal cities with a post-industrial economic structure, a high level of economic development, and the highest share of middle-class individuals (30–40% of the population). Their residents are well-educated (in Moscow and St. Petersburg, 39–43% of the residents over the age of 15 hold advanced university degrees), and a larger percentage of residents employed in the small-business sector. They also have high internet penetration. Moscow. CC Andrey Naumov / Flickr. Some rights reserved.It is in the federal cities — particularly in Moscow — where political transformations and dissent have grown faster, alongside demands for government modernisation. Electoral data also bear this out: during the 2012 presidential elections, less than one half of Muscovites voted for Vladimir Putin. The postindustrial transformation of the economy and society has proceeded at varying rates in other million-strong cities. 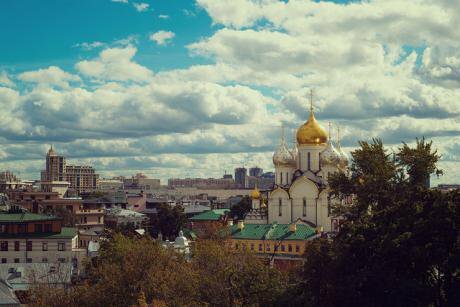 Progress has been faster in Yekaterinburg and Novosibirsk, as these cities have the appeal of being macroregional centres in the Urals and Siberia These cities pull in more migrants as they offer more well-paid and modern jobs. Here, the people’s social environment and political preferences have been changing more slowly in big cities that have kept their Soviet-era industrial specialisation, such as Omsk, Ufa, and Volgograd. But even among smaller cities, the differences are large: Tomsk, a university city with a population of 500,000, is well ahead of many larger cities in terms of modernisation. Virtually all cities with a population of 500,000 are regional centre, and it helps them concentrate the resources of their respective regions, particularly human resources. Yetthe modernisation potential of Russia One should not be overestimated, as the communities in large cities are quite mixed demographically and ideologically. For instance, the share of elderly who heavily depend on the authorities is large (30–33 % in Moscow and St Petersburg). The middle class in large cities is also a mixed bag. During the 2000s, the share of public-sector employees grew rapidly. In their case, modernisation has been limited to higher consumption standards, whereas their values remained statist and illiberal and their demand for the modernisation of institutions minimal. About nine percent of Russians live in cities with populations of between a quarter million and a half million people, primarily in regional capitals. In these cities, social and economic development are more sustainable, but human and financial resources are usually inadequate for modernisation. This is an intermediate zone between Russia One and Russia Two, with the situation varying by the city. Russia Two refers to medium-sized cities with populations from 50,000 to 250,000 people. They are home to less than 30% of Russia’s population. Not all of these cities retained their industrial specialisation during the post-Soviet times, but Soviet-era values still hold strong. In addition to considerable employment in the industrial sector, these cities have a large number of people employed in the public sector, most of whom are less-skilled workers. The economic situation varies across the cities of Russia Two: the highest incomes are enjoyed by residents of oil- and gas-producing cities in Tyumen region, and incomes are also somewhat higher in cities with large steel and coal industry enterprises — that is, in cities with export-oriented economies. In cities with export substitution industries (machine building, the food industry, and so forth), wages are considerably lower than in the regional centres. 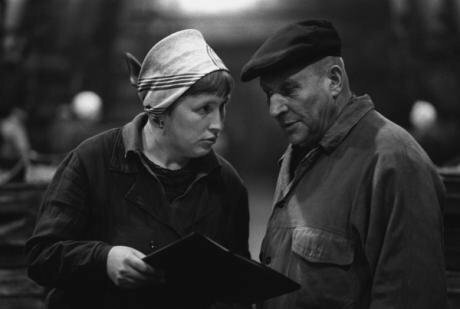 Workers at a metallurgical factory in Zlatoust, Chelyabinsk Region (population: 172,000). Photo (c) 2013, Yury Abramochkin / Visual RIAN. All rights reserved.Young people have been fleeing Russia Two, and in most cases they never come back. Economic crises are particularly hard on one-company cities. There are more than 150 of these, and they account for ten percent of the country’s urban population. The denizens of Russia Two, like the residents of the largest cities, have not been happy with the political situation. During the 2011 parliamentary elections, the share of votes cast in favour of the ruling party (United Russia) in many industrial cities was as low as in large regional centre (29–38%). However, during the presidential elections, Russia Two residents voted for Putin because, more than anything else, they valued stability, employment, and wages. They remembered the 1990s well, when enterprises would remain idle for long periods of time while workers would go unpaid for months on end. The main reason for Russia Two to protest is the loss of jobs and wages. Lliberal ideas of modernisation are unpopular; the greatest value is a strong paternalist state and large-scale social policy. The residents of industrial Russia feel like they are the main “providers” for Russia; therefore, the Kremlin’s spin doctors have managed to pit the hardworking populace of Russia Two against the residents of Russia One who, in the language of the official propaganda, “only wag their tongues and produce nothing.” The existence of a political rift is confirmed by the outcome of the presidential elections. In the Urals, during the 2012 presidential race, Putin garnered twice as much support as United Russia received there in the parliamentary election in 2011. 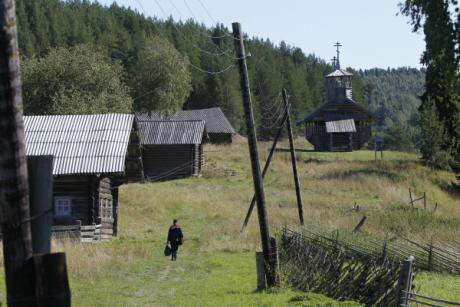 Russia Three is the traditionalist and inert rural heartland of most of Russia’s regions, as well as the communities in villages and small towns with a population of less than 20,000 (collectively, more than one-third of the country’s population). In these cities, the levels of education and mobility are at their lowest; the public sector and agriculture provide most of the jobs; and a large share of those employed are in the informal sector. The periphery is apolitical and always votes for the incumbent authorities. Russia Three also suffers from depopulation. The borders between these three Russias are blurred. Obviously, the distribution of the population is not the only factor affecting the pace of modernisation, but the centre-periphery model helps identify the key differences. The village postman arrives. Zikhnov, Arkhangelsk Region, 2011. Photo (c): Aleksei Kudenko / visual RIAN. 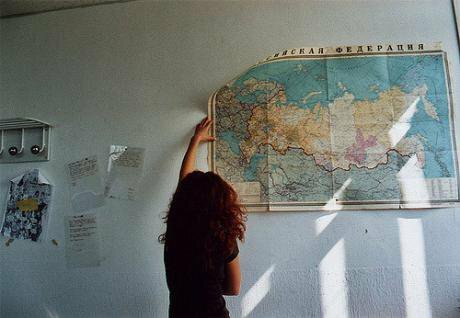 All rights reserved.Russia Four is yet another periphery, which comprises the underdeveloped republics of the North Caucasus (five percent of Russia’s total population) and the south of Siberia (less than one percent). These regions differ greatly from the rest of Russia because they are at an earlier stage of the modernisation transition: urbanisation began later, the demographic transition is incomplete, birth rates remain high, the patriarchal clan-based structure of society persists, ethnic differences are acute, and religion plays an important role. The rural population is still young, cities have yet to digest the growing migration from the rural areas, and the urban way of life is only just taking shape there. The modernised, urban population is too slow to expand, because a fairly large part of the educated and competitive young people are moving to the country’s largest cities. Centre-periphery differences are typical of other countries, but in Russia they have specific features, from a very wide gap between the largest cities and the rest of Russia, and the vast size of the depopulating ethnic Russian periphery. This division into four Russias is based on long-term factors and is very durable, with differences changing very slowly. During the economic boom of the 2000s, the residents of the largest cities, where the better-paying jobs and the better-educated population are concentrated, enjoyed the highest rates of growth in incomes and consumption standards. Rapid consumption has helped modernise urban lifestyles and the values held by the population of the major cities in “Russia One”. The 2009 crisis had a stronger impact on the medium-sized industrial cities of “Russia Two”. On the whole, the gap between “Russia One” and “Russia Two” widened in the 2000s. As the authorities are well aware, anti-western sentiments and frustration over the breakup of the USSR are widespread across all four Russias. The annexation of Crimea enjoyed massive public support and Putin’s popularity rating jumped from 60 to 82% between January and March 2014. The authorities now have an opportunity to attribute the worsening economic situation to the malicious designs of foreign enemies. Across the four Russias, there is a deep well of resentment that the authorities are all too happy to exploit. The Russian economy plunged into a recession even before the onset of the crisis in Ukraine. In 2013, there was no growth in industrial output or investment, and 2014 saw the beginning of a serious economic downturn. The growth of household incomes in 2013 was minimal (three percent) and largely stemmed from wage increases in the public sector. The fiscal position of the nation’s regions is deteriorating because of a reduced tax rate and shrinking transfers from the federal budget. Seventy seven out of 83 regions are running fiscal deficits. In the aggregate, the budget spending by the regions was 8% higher than their revenues. Russia’s budget is simply unsustainable. The regions will be forced to cut expenditures, mainly the number of social-sector institutions and their employees. The underdeveloped republics (Russia Four) did not notice the 2009 economic crisis and are unlikely to notice a new one, since they live mostly off transfers from the federal budget and the shadow economy. The share of these republics in the total transfers to the regions of the Russian Federation is only 10%. The federal budget can afford to continue supporting them. Where now for the four Russias? Photo CC: Elo Vazquez / Flickr, 2008. Some rights reserved.The peripheral Russia Three is also outside the risk zone. It has the largest share of pensioners, and older people are more loyal and manageable even if the rate of pension increases slows down. In rural areas and smaller cities, the share of public-sector and agricultural employees is higher. Wages in the public sector have increased, while the agricultural sector will likely become more competitive on the back of a weaker rouble and declining imports. The industrial cities of Russia Two have been more deeply affected by the economic crisis, particularly hubs of the steel, coal, paper and pulp, and engineering industries, in which output began to decline in 2013. So far, big and medium-sized businesses have been very careful in their layoff policies because of pressure from the federal and regional authorities, but as the crisis exacerbates, the problem of unemployment will grow more urgent. It may be mitigated to some extent as the federal budget has allocated considerable resources to prop up employment (more than 100 billion roubles in 2014, or 20% more than at the peak of the crisis in 2009). But this will help only if the crisis is short lived, which is unlikely given the many institutional flaws of the Russian economy and recent international sanctions in response to Russia’s role in the Ukraine crisis. Russia Two is headed for high unemployment and a drop in living standards. At the same time, it should be taken into account that the populations in the industrial cities in the central, north-western, and Urals regions have grown older: most of the workers are close to retirement age, which reduces pressure on the labour market. Wide protests are unlikely, since the population of Russia Two is less educated and will be more easily convinced by the all-out Kremlin propaganda campaign blaming the country’s economic problems on scheming foreign enemies. Single-company towns are the most vulnerable to the effects of an economic crisis, but a massive public outcry can hardly be expected there. Russia’s big businesses have learned how to lower social costs through management tools (like shorter working weeks, mandatory unpaid leaves, minimization of layoffs, reassignment of workers to other tasks within a company if certain shops have to be closed down, firing protest leaders, and a de facto actual ban on strikes) and to extract the most benefit from government support for employment. An effective alliance between federal and regional authorities and big business has evolved in Russia, seeking to minimise social protest in industrial cities where large companies have their assets. The medium-sized businesses in monotowns are more vulnerable because the risks of shuttering undermodernised enterprises are higher. During the 2009 crisis, regional authorities forbade owners of medium-sized businesses to close down unprofitable enterprises, making them work at a loss or sell to new owners; they also forced other companies in the region to buy products from struggling businesses. In Russia One, the creeping crisis (or, rather, slow recession) is currently not perceived as an acute problem, but the situation will inevitably grow worse. People in the major cities boast the highest level of education, incomes, and consumption standards and thus have a great deal to lose. The labour market is gradually adjusting to the worsening conditions by freezing wages in the private sector and slowly reducing employment, while households have employed various adaptation strategies. For the bureaucrats, who account for a sizeable proportion of the middle class in large cities, the negative impact of the crisis is absorbed by higher wages and corruption rent. Emigration remains an option for competitive professionals who are not willing to adjust to the new political reality. Express service to Russia One. 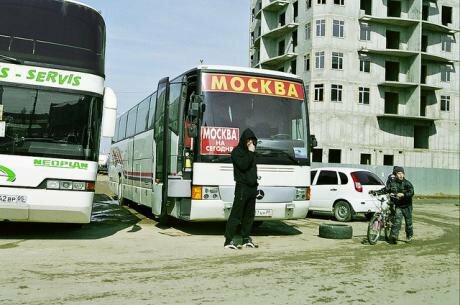 A bus to Moscow awaits passengers in Makhachkala, Dagestan. Photo: Un Bolshakov / Flickr, 2011. Some rights reserved.As the crisis deepens, the residents of Russia’s largest cities will be able to shake off the postimperial syndrome sooner and more rationally evaluate the consequences of the Putin regime’s antimodernisation policies. But whether Russia One has the strength to protest and what the forms and scope of opposition to the Kremlin’s policies will be is an open question. Negative political changes in Russia are so swift that predicting anything is extremely difficult. Nevertheless, the general direction of the Putin regime is clear: anti-modernisation and isolationism. The only question is the depth and longevity of the trend. Back to the USSR / sliding toward totalitarianism. This scenario involves switching to the “besieged fortress” mode and tightening the political regime for quite a long time to come. This scenario implies greater control over big business under the threat of nationalisation and its subordination to the political interests of the authorities, a mobilisation-ready economy, ideological control over key aspects of life, restrictions on foreign travel, large-scale reprisals against the opposition and liquidation of the remaining independent media outlets, and restrictions on the Internet. This likely will lead to a sharp drop in the living standards of the entire population, particularly the middle class in the larger cities who are not part of the bureaucracy. Such a scenario no longer appears implausible, but it is more likely to materialise in the event of a full-scale Russian military invasion of eastern Ukraine and the introduction of sweeping western sanctions as a response. Should this scenario materialise, its implications for the four Russias are easy to predict. The larger cities of Russia One would be hit the hardest, and their population would have to sharply lower their consumption standards. Resistance is unlikely to be broadbased in the repressive environment, but the modernised middle class would leave the country in droves. The differences between Russia One and the other Russias would become smaller because of the shrinking modernisation potential of the largest cities. The authorities would try to mitigate the negative consequences for the industrial Russia Two, which is the Putin regime’s political base. 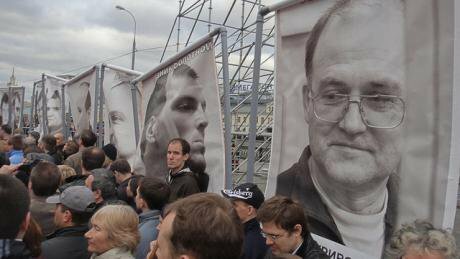 Muscovites protest in solidarity with those arrested in the Bolotnaya demonstration of 2012. Photo: Vladimir Varolomeev / Flickr, 2014. Some rights reserved.Budget-funded government contracts would increase, and so would support for employment in industrial cities. Russia Three is another base of support for the regime, but in its case, the authorities may limit themselves to maintaining the level of pensions and wages for public-sector employees. The country’s outlying areas are incapable of protest and have always voted as expected. Under this scenario, the regime may remain stable over the medium term, while its more distant future would depend on the speed and depth of the economic crisis, which will inevitably worsen even if energy prices do not fall. As a result, Russia would lose almost all of its competitive advantages, except for commodities, and would find itself in the group of less-developed countries. Hard authoritarianism. Barring a full-scale invasion of eastern Ukraine, this is the most probable scenario. The prevailing antimodernisation trend with the imitation of Soviet practices and pinpoint reprisals against protest leaders will continue. The business community would demonstrate loyalty in exchange for permission to keep their assets, and no considerable nationalisation of the economy would take place. The living standards would decline, but not too rapidly. Under this scenario, the educated population of the larger cities of Russia One espousing modern values would self-isolate, withdrawing into “internal emigration” (a passive form of protest), with just a few small groups of active protesters remaining. Emigration would occur on a lesser scale but would be enough to undermine the modernisation potential of Russia’s largest cities. Under this scenario, the authorities would also rely on the conservatism of the industrial and still-Soviet Russia Two and the peripheral Russia Three, but it might prove to be a less stable political support than the regime would hope for. After the annexation of Crimea, the mobilisation resources based on the postimperial syndrome could be exhausted and the level of political support for the authorities would decline because of economic problems. he consequences of growing Russian and ethnic nationalisms are impossible to predict, and pumping up xenophobia might lead to disintegration of the country as the worst-case scenario. Although the imperial idea unites most of the Russian citizens, albeit temporarily, the national one is sharply divisive. Returning to the modernisation path after a short relapse of the postimperial syndrome. This may happen only if the elites split up and later reach an agreement to alter the country’s direction and replace the leader, which is unlikely. Even if the course of leadership is changed, it would be difficult to start modernizing institutions and to loosen the state’s authoritarian grip on business and society. Regrettably, during the post-Soviet period, particularly under Putin, all the institutions of society, as well as human and social capital, have deteriorated. A change of course in the context of a protracted economic crisis would lead to temporary loss of control and chaotic decentralisation. Political campaign poster on Moscow's Sofiyskaya Embankment, 2008. Photo (c): Mikhail Fomichev / visual RIAN. All rights reserved.This is virtually inevitable at the stage of abandoning strict authoritarianism. In this scenario, Russia Two would lose state support; its population would protest but would do so warily because of the low social capital of the industrial cities’ population and a limited ability to act collectively. Russia Three would adjust to the changes using traditional survival techniques (for example, subsidiary farming, picking mushrooms and wild berries, or fishing). Russia One would continue to be the leader of change, but at a much lower level of social and human capital in the largest cities, which would limit the modernisation potential. This potential is further diminished by the fact that the Russian authorities have raised institutional barriers that would impede the progress of Russia One. Thus, a law has been passed abolishing direct mayoral elections in the country’s 67 largest cities (excluding the federal centres) to prevent opposition candidates from being elected. In 2012, gubernatorial elections were reinstated, but with a system of filters to prevent the opposition from entering the races. This will enhance the legitimacy of governors, but within the regions the system in which strong mayors of the largest cities counterbalance the regional governors will be destroyed. In the context of weakening federal authority, such an imbalance would facilitate the emergence of authoritarian regional regimes. To bring this country together, the new Russian authorities would again take a step toward authoritarianism. Russia would again fall in the same pit, confirming the relevance of the path-dependence theory that explains how development is limited by the system of values prevailing in society.4 These are informal norms and rules deeply rooted in the life of nations and linked to the behavioral stereotypes of large population groups, which makes them stronger than formal institutions (laws). Forcibly toppling the existing regime through revolution. This is the least likely scenario. The main role under this scenario would be played by Russia One — or, rather, the nation’s capital — but the outlines of such a scenario are not discernible for the time being, and its consequences are too harrowing to even contemplate. 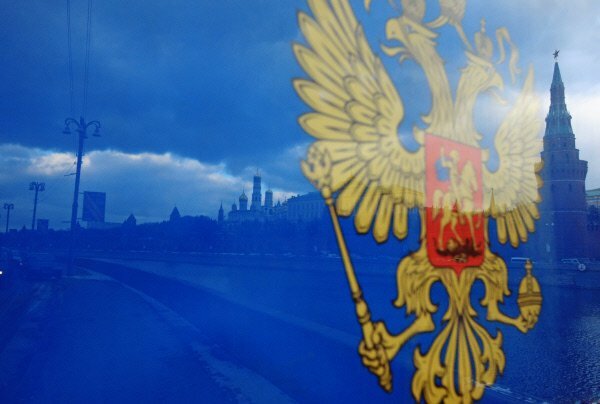 In the post-Crimea political environment, Russia One is an obvious loser. It cannot strengthen its influence on the nation’s development by introducing innovative values and diffusing them through the hierarchy of cities. Under the more likely future scenarios, the authorities would isolate Russia One and rely on the conservative semiperiphery and periphery (Russias Two and Three). Interactions between Russia One and Russia Two are unlikely under any scenario, as their interests diverge in the short and medium term: the residents in major cities are keen to see modernisation of the state, while Russia Two values social and economic stability (employment and wages) above anything else. The problems of Russia Four heighten the risks associated with Russia’s development under all scenarios. Under the harshest scenario, these problems may be temporarily frozen with the help of government-sponsored violence, but that would increase development risks further into the future. Reprinted with the permission of the American Enterprise Institute.